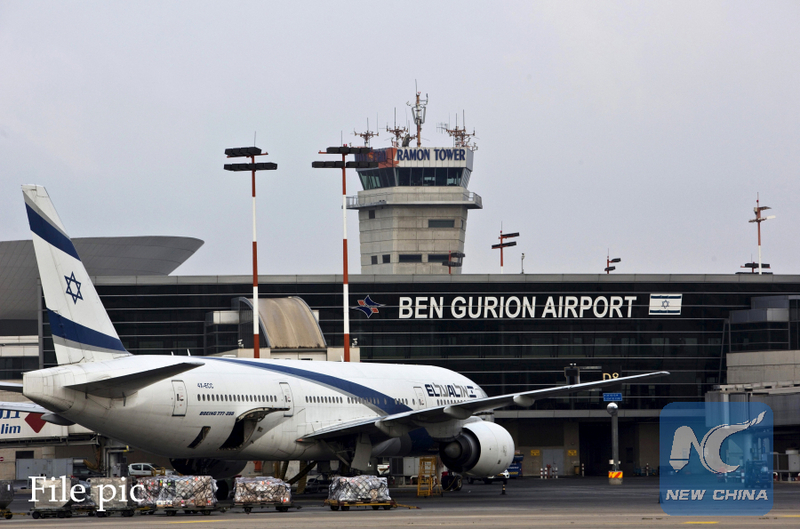 JERUSALEM, Oct. 14 (Xinhua) -- Israel's leading airline El Al warns that all Israeli airlines will stop flying from Jan. 1, 2019 because of security concerns abroad, a local newspaper reported Sunday. The surprising announcement was made by Eli Dapas, El Al chairman, in his urgent letter to the deputy head of Israel's National Security Council and the director general of the Prime Minister's Office, the Hebrew-language newspaper Yedioth Ahronoth reported. All flights would be halted because the Ministry of Foreign Affairs does not intend to continue employing security guards worldwide, Dapas said in the letter. According to Dapas, the director-general of the Foreign Ministry recently sent him a letter saying the ministry won't employ security workers anymore at foreign airports since Jan. 1, 2019, as no agreement has been reached with these employees. These Israeli security personnel living abroad normally serve as assistants of security officers in the destinations flown by Israeli international airlines El Al, Arkia and Israir. Copies of the letter were sent to Israeli Prime Minister Benjamin Netanyahu, who also serves as Minister of Foreign Affairs, and the Minister of Transport. Any change in the complex security system will require the consent of many bodies, and the government can't take such decision only 2.5 months in advance, Dapas noted. The Prime Minister's Office, however, said the issue is expected to be resolved with the Ministry of Finance in days.